This solid white house name plaque is deeply engraved with a choice of seven colour inlays and 19 fonts. It has arrived, and I'm delighted. Thank you very much. 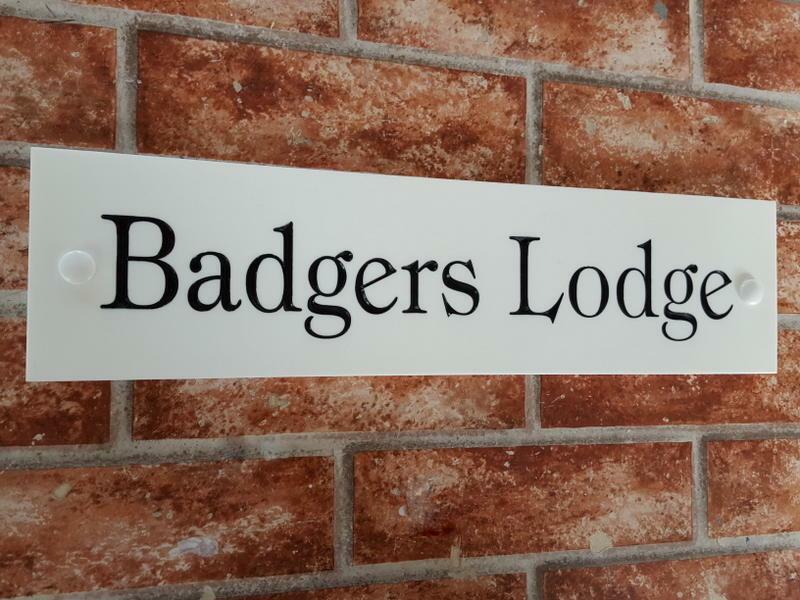 I have received the White engraved house sign, 400mm x 100mm x 12mm I ordered and I must say I am very impressed. The sign is a substantial piece of kit and so much better than I expected. 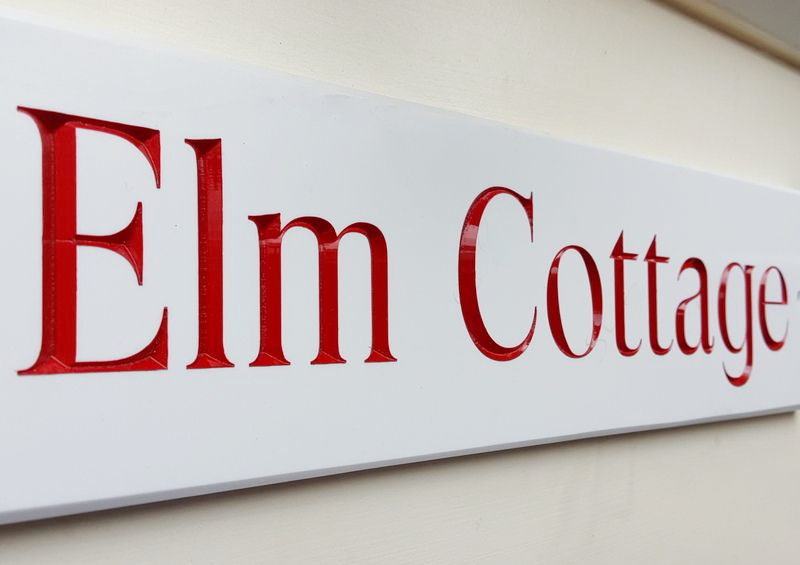 The depth of the black filled engraving gives the sign great visibility and a highly distinguished look. I would certainly recommend this style if you want the classic simplicity at a very keen price. Dear Sirs I just wanted to send you a quick note to say how absolutely delighted I was with my house name plaque. The quality of the work was excellent and I have had lots of positive comments. I have told everyone to let me know if they want more details so I can put them in touch with you, Once again, many thanks. 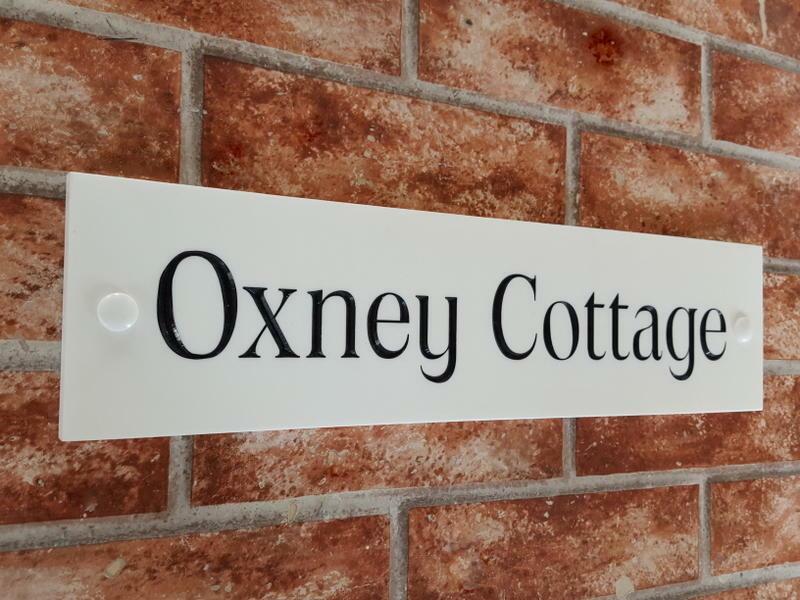 Our white 400mm x 100mm house signed arrived in 11 working days of ordering including our amendment to character spacing in Black Chancery font. The sign exceeds our expectations. The material is hard and tough and has granite-like feel. 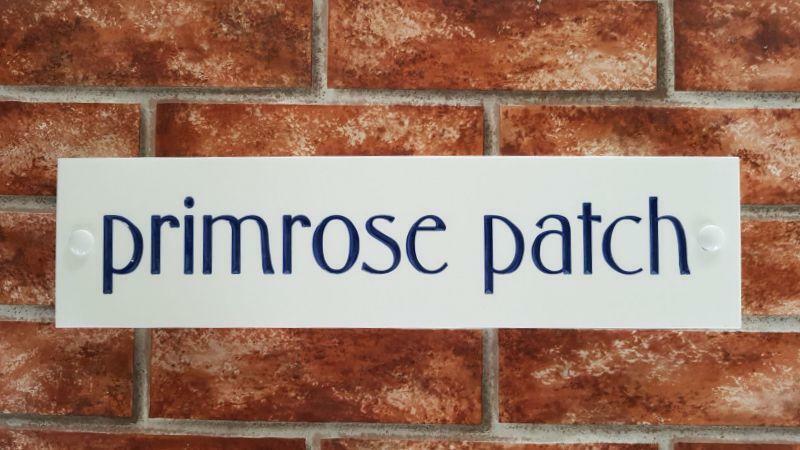 The depth of V-groove engraving gives a classy look to a very durable classic looking sign that blends perfectly with our house style. 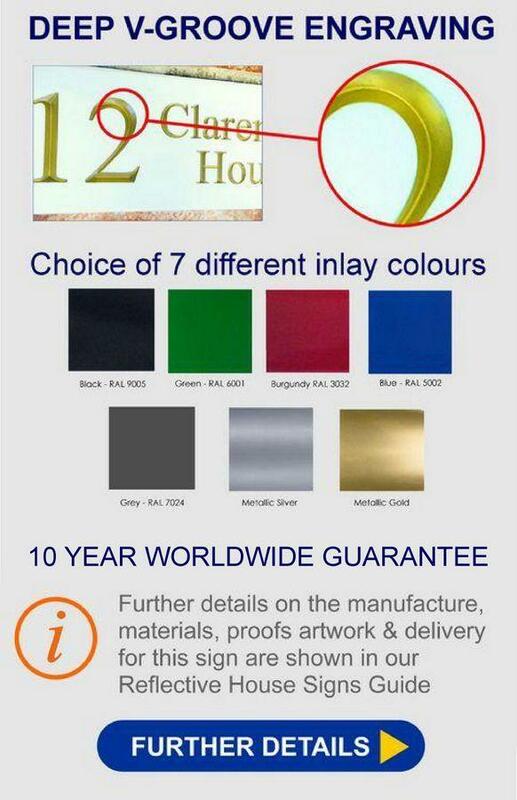 The high quality is great value for money and although it will never need replacing. 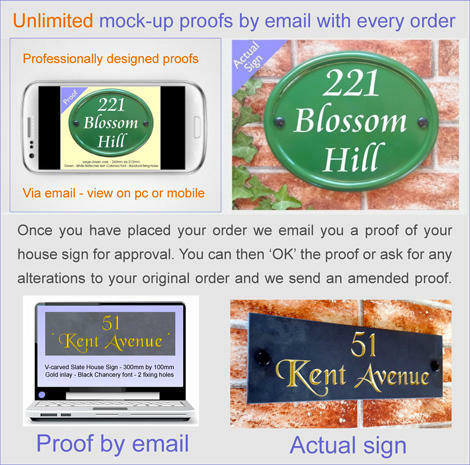 Your Signs will be our default supplier and highly recommended to friends and family. You will not get a better product than this anywhere!